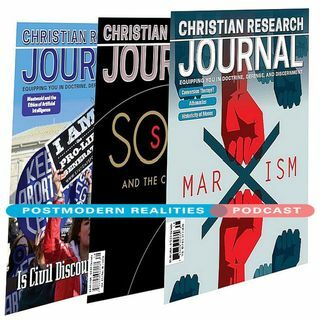 Postmodern Realities Episode 044 - "The Human Embryo: Potential Person or Person with Great Potential?" People use the word potential in many different ways. A child can show potential when it comes to having sports or musical aptitude. If a speaker gives a presentation without being adequately prepared, there is the potential for disaster. However, in philosophy, potential is a technical term, and it is not as simple as one might expect. An oak sapling has the potential to become a mature oak tree, and it has the potential to become a house. But each of these senses of the word potential is ... See More different and has real world application to debates in bioethics. Some prochoice advocates try to argue that human embryos are not persons but are potential persons. In this view, embryos are biological members of the human species, but they have not yet reached the developmental milestone necessary for grounding their identity as persons. However, calling the human embryo a potential person is misguided. A common idea is that living things are constructed piece by piece from the outside, when, in fact, they develop from within themselves. To say that a human embryo is a potential person is misguided because it fails to take into account the fact that the reason the embryo eventually will become an adult is because she is a human being with a human nature, and it is this nature that directs her development as a human being. As she has a rational, volitional nature, she will develop all of the present capacities to perform personal activities. Human embryos are not potential persons they are actual persons with potential. This podcast episode is a conversation with author Clinton Wilcox as he answers questions about his article The Human Embryo Potential Person or Person with Great Potential?